Start selling products online! Great looking ecommerce website design template with style and plenty of features. 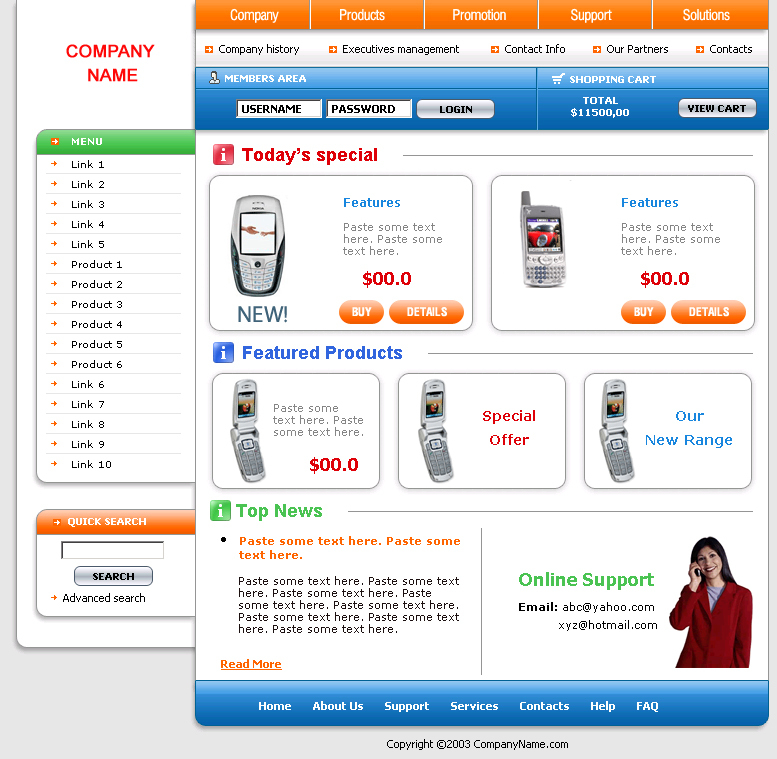 The home page can accommodate a large number of products.